Dr. Puthucheary participated in an interview elaborating how the key projects were selected, the role of the government and the private sector and outlining the biggest challenges. Earlier this year year, in March 2017, the Singapore government carried out organisational restructuring to enable a more integrated and responsive strategy to achieve its Smart Nation and Digital Government (SNDG) objectives. The Smart Nation and Digital Government Group (SNDGG) was formed directly under the Prime Minister’s Office (PMO). Senior Minister of State (Ministry of Communications and Information & Ministry of Education), Dr. Janil Puthucheary, was appointed as Minister in-charge of GovTech (Government Technology Agency of Singapore). 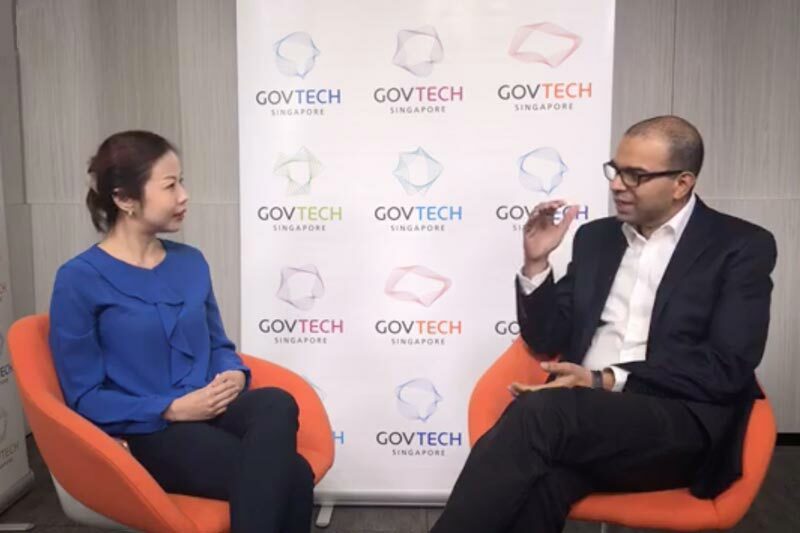 Today at 9:15 am Dr. Puthucheary participated in an interview broadcast live on the GovTech Facebook page, elaborating how the key projects were selected, the role of the government and the private sector and outlining the biggest challenges. All three can make a huge difference to the entire public sector and to citizens’ lives. Dr. Puthucheary explained that these three projects are not end-points, but rather starting points. They should become part of a stack where here people can layer other products and services on top. There is work already happening in these areas. Now the idea is to reorganise and bring it together under PMO and SMDGG, so that all the systems and processes can communicate. These projects might be large and challenging, cross-cutting across a range of sectors. But Dr. Puthucheary said they were selected precisely for those reasons. The learnings from these will help the government update not just technology, staff and capability, but also the legislative and regulatory processes. The lessons can subsequently be applied to help particular agencies and ministries achieve some of their aims. Dr. Puthucheary went on to highlight regulatory and legal processes as one of three key challenges. Some agencies are doing a great job within their own area. But their internal systems hinder sharing data and processes and interoperability of standards. Those barriers have to be broken down, while being mindful of privacy and operational risks. That is why everything was brought under PMO. The other two challenges mentioned were cybersecurity and human resources. Everything being done under Smart Nation increase the attack surface. So, security will have to be embedded into systems and processes, everything will need to have security-by-design. Dr. Puthucheary said that ensuring the availability of people with right skills in adequate numbers as possibly the biggest and most persistent challenge. To meet this challenge, young people’s interest in IT/ computer science has to be stimulated, singaporeans have to be attracted to come back from overseas and mid-career professionals helped in changing jobs. Both the government and the private sector will play important roles in the achieving the Smart Nation vision. The government’s role is to set standards, updating regulatory processes, and offer a few key products where the market is not going to step in. Government must enable sharing of standards, data, processes, sometimes helping overcome private sector reluctance to share data . For example, the autonomous vehicle service might be driven by the public sector but it will be on top of standards set by government. It might be interfacing with government-deployed sensors and could use a public sector derived payment system. But the value-added services, from route prediction to restaurant booking will come from the private sector.